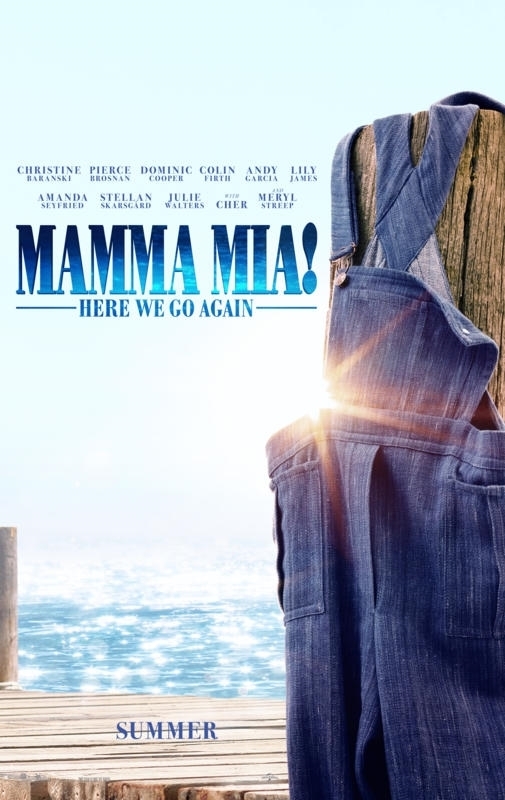 Here is the second trailer from the upcoming film “Mamma Mia! Here We Go Again.” The film is directed by Ol Parker, starring Meryl Streep, Pierce Brosnan, Colin Firth, Stellan Skarsgård, Julie Walters, Dominic Cooper, Amanda Seyfried, Christine Baranski, Lily James, Josh Dylan, Hugh Skinner, Jeremy Irvine, Alexa Davies, Jessica Keenan Wynn, Andy Garcia and Cher. Here is the trailer from the upcoming film “Mamma Mia! Here We Go Again.” The film is directed by Ol Parker, starring Meryl Streep, Pierce Brosnan, Colin Firth, Stellan Skarsgård, Julie Walters, Dominic Cooper, Amanda Seyfried, Christine Baranski, Lily James, Josh Dylan, Hugh Skinner, Jeremy Irvine, Alexa Davies, Jessica Keenan Wynn, Andy Garcia and Cher. Here is the trailer from the upcoming film “Film Stars Don’t Die in Liverpool.” The film is directed by Paul McGuigan, starring Annette Bening, Jamie Bell, Julie Walters, Vanessa Redgrave. Here is the trailer for the upcoming film EFFIE GRAY. The movie is directed by Richard Laxton, starring Dakota Fanning, Emma Thompson, Julie Walters, Tom Sturridge, Robbie Coltrane. EFFIE GRAY In Theaters April 3rd, 2015. EFFIE GRAY Official Trailer from Adopt Films on Vimeo. In her original screenplay EFFIE GRAY, Emma Thompson takes a bold look at the real life story of the Effie Gray-John Ruskin marriage, while courageously exposing what was truly hiding behind the veil of their public life. Set in a time when neither divorce, nor gay marriage were an option, EFFIE GRAY is the story of a young woman coming of age, finding her own voice in a world where women were expected to be seen but not heard. EFFIE GRAY explores the roots of sexual intolerance, which continue to have a stronghold today, while shedding light on the marital politics of the Victorian Era. Here is the second trailer from the upcoming film PADDINGTON. The film is directed by Paul King, starring Hugh Bonneville, Nicole Kidman, Sally Hawkins, Jim Broadbent, Julie Walters, Colin Firth. PADDINGTON in theaters on January 16, 2015. Here is the teaser trailer from the upcoming film PADDINGTON. The film is directed by Paul King, starring Hugh Bonneville, Nicole Kidman, Sally Hawkins, Jim Broadbent, Julie Walters, Colin Firth. PADDINGTON in theaters on December 12, 2014. From the beloved novels by Michael Bond and producer David Heyman (HARRY POTTER), PADDINGTON tells the story of the comic misadventures of a young Peruvian bear (voiced by Firth) who travels to the city in search of a home. Finding himself lost and alone, he begins to realize that city life is not all he had imagined – until he meets the kindly Brown family who read the label around his neck that says “Please look after this bear. Thank you,” and offer him a temporary haven. It looks as though his luck has changed until this rarest of bears catches the eye of a museum taxidermist. ParaNorman hits theaters August 17th, 2012!